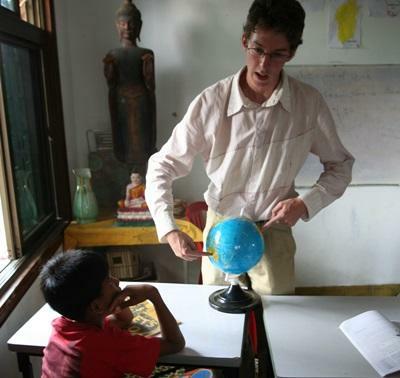 Projects Abroad works in 24 destinations in the developing world and we send Teaching volunteers to every single one of them. In each location they work in local schools, providing conversational English lessons to groups of school children, who will often have reasonably good levels of written English but lack the confidence to speak it. Whether you are in a classroom in Peru, Ghana, Sri Lanka or Fiji, it will be your job to get them talking. But beware – once they start they are unlikely to stop! We offer teaching projects across Asia, Africa, Europe, Latin America & the Caribbean, Central America, and the South Pacific. Once you arrive in your destination you will be met at the airport/bus station/train station by a member of staff, who will take you to your host family for a well-deserved rest. You then receive a full day of orientation before starting your placement. You will initially be a classroom assistant but, as you grow in confidence, you may wish to take classes on your own – just make sure you let your supervisor know what you are happy with doing and they will do their best to make it happen! To find out more about our Teaching projects overseas, please click on the “Projects” part of the top menu-bar and then click on “Teaching” in the left-hand menu-bar.